These multi-use and inexpensively priced cases stand up much longer to use and abuse than red fiber stock wallets. 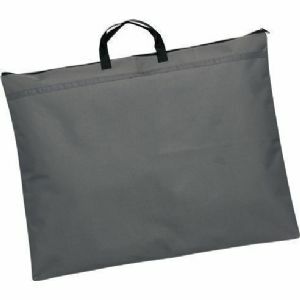 Made of strong , weather resistant black nylon with reinforced double stitched handles, the heavy weight of textbooks, etc. is not a problem. Full length zipper provides easy access. These multi-use and inexpensively priced cases stand up much longer to use and abuse than red fiber stock wallets. These Student Series Soft-Sided Portfolios are made of strong , weather resistant black nylon with reinforced double stitched handles, the heavy weight of textbooks, etc. is not a problem. Full length zipper provides easy access.